Thailand is truly a tropical paradise and Koh Samui is a great destination for families to choose for their holiday and make fantastic lasting memories together. The locals on Koh Samui will give children and families a very warm welcome. There is an endless array of postcard-perfect beaches on which to spend delightful family days playing in the sand, splashing in the clear water and eating fresh tropical fruit like coconuts and mangoes. 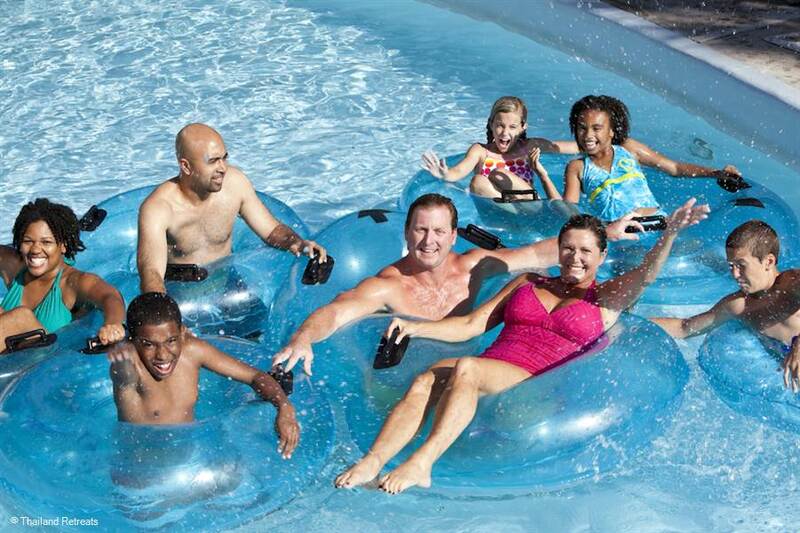 There is also a full range of activities and adventures on the island for children of all ages. 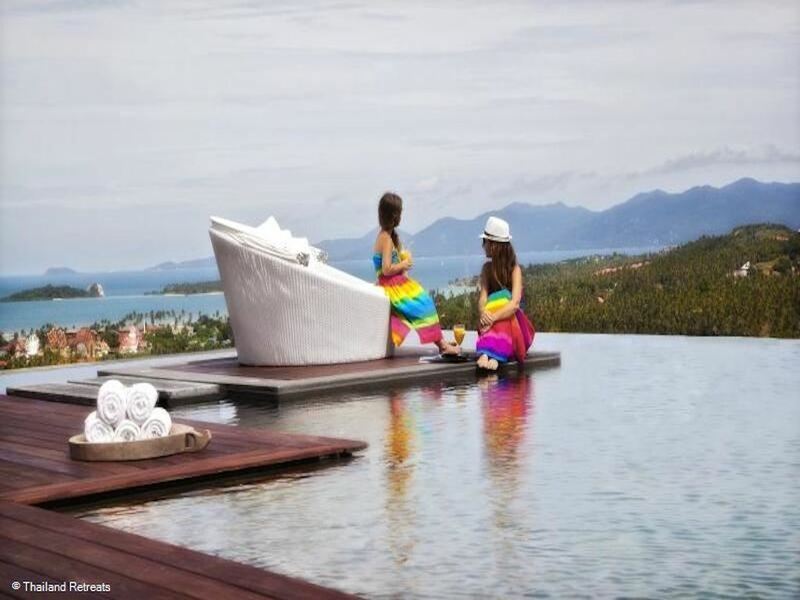 Koh Samui has emerged as a well-developed island these last few years and you can be reassured that there are facilities and activities for children as well as access to English speaking doctors and hospitals. There is even a Tesco (Tesco Lotus) and a Boots should you need to restock on baby necessities! There are however still things to be aware of as a family like staying safe in the hot sun, being very careful on the roads, make sure you visit your GP before travelling for required immunisations, being prepared with mosquito repellent etc. Whilst it’s easy to choose Koh Samui as a destination, the next step is choosing where to stay. 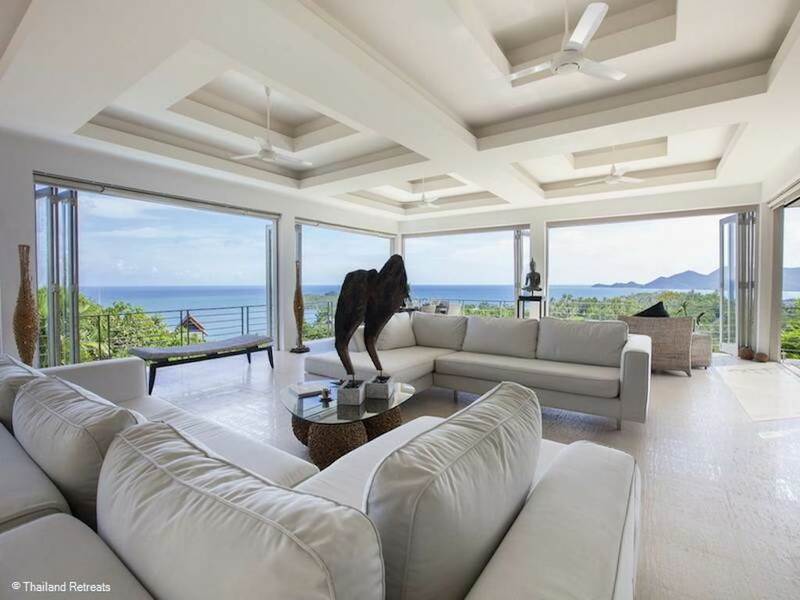 We firmly believe a villa is a great option for families and we ourselves have a wide range of suitable and spacious family friendly villas in Koh Samui. You can also be reassured that if a villa doesn’t fit our strict approval criteria it will not be listed on the Thailand Retreats website. 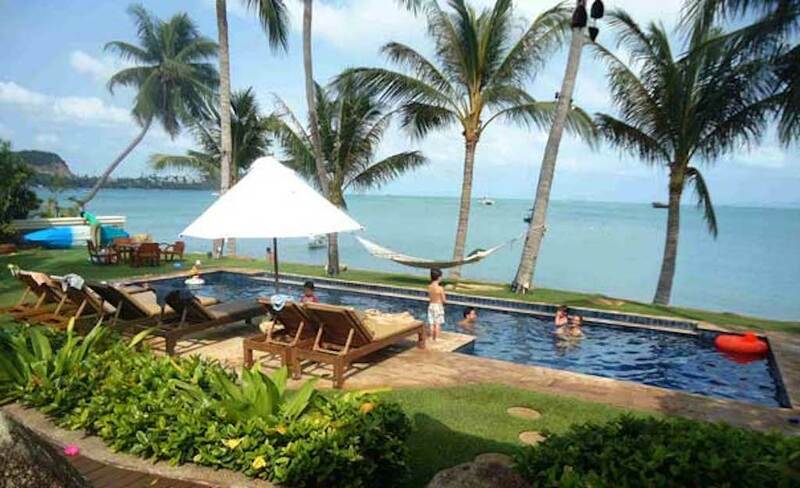 Here are 10 good reasons to choose a Koh Samui Villa for your family. Ever booked an extra large family room in a hotel only to find it’s not your definition of extra large? Ever tiptoed over a partially unpacked case because you’ve run out of room in your hotel wardrobe? Is less than a metre between your double bed and your child's bed not your exact formula for relaxation? The beauty of booking a family villa is that you all have enough space to spread out and roam free, whilst still being safely enclosed in a private home. Our family villas range in size and even one or two can accommodate a family of sleep up 40 with bunk bedrooms for the kiddies. As well as having spacious bedrooms, most of our family villas have indoor and outdoor family dining facilities, family rooms, tropical gardens to explore or a play area. Discovering and indulging in Thai cuisine is divine, it’s certain to be one of the highlights of your holiday. However, if you have a fussy eater or children that need to eat at different times, eating out on holiday can sometimes be difficult. Most of the in-villa chefs can cook Thai and Western dishes, so if you have a fussy eater that won’t stray further than eating pasta or pizza, you can be reassured they won’t go hungry! If you appreciate Thai food, you will be lucky enough to be experiencing authentic fresh food made to order. Most villas also provide a shopping list and menus. It’s also fine to still eat out when you want to, you just tell the chef. The comfort of staying in a villa is that you can all relax and take some time doing the things you like to do. Want to do yoga whilst the kids play in the pool? That’s fine, most of our villas have a sala or terrace near the pool area and you can also arrange for a private yoga instructor to visit some of our villas. Kids need a nap, but you don’t want to stay inside? That’s fine. Most of our villas have easily accessible outdoor loungers and pools and you can still be very nearby the little one’s to check on them. Home from home comforts. Half of the family want action and the other half want to relax? Again that’s fine as many of our villas come with on-site amenities that can keep everyone amused, whilst those that prefer to hop in a hammock can usually find one! Whilst on holiday in Koh Samui you will want to enjoy the beautiful landscapes, views and culture, but it can be reassuring to not be too far away from the tech you are used to at home if you need it. The Thai people are very tech savvy and many of our villas now come equipped with Digital Smart TV's as well as being supported by DVD Players, ipod docks and super fast wifi access. 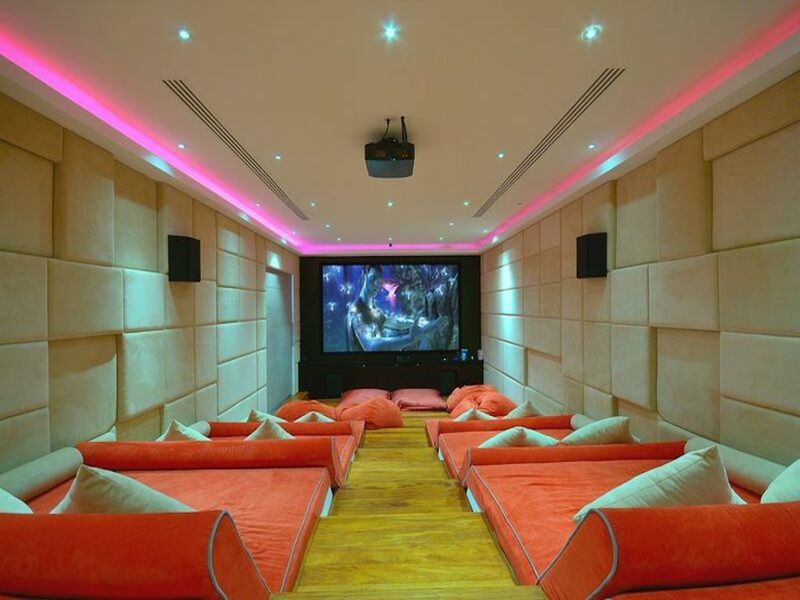 As an example, Villa Skyfall has its own 12 seater movie theatre and a sound, music and lighting system controlled via iPad, so the soundtrack of your holiday is your choice. 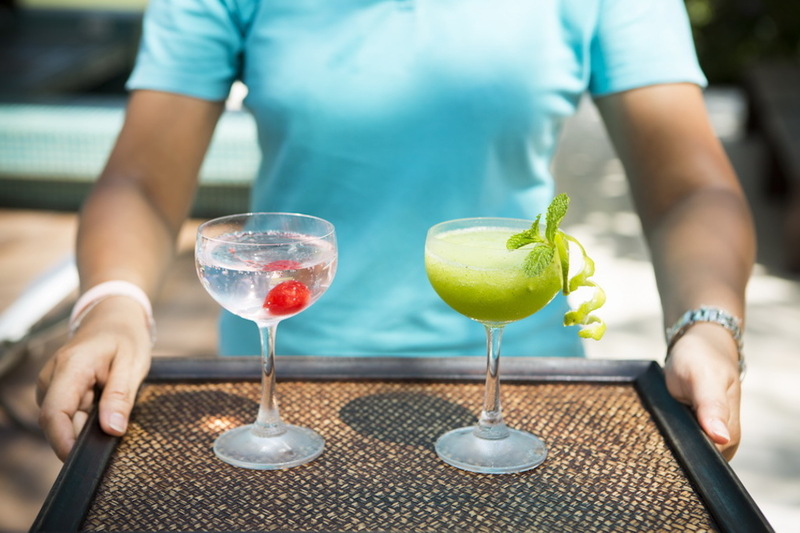 At some of our villas, the in-house staff can whip you up a signature cocktail (or mocktail for the children) or whatever tipple you choose, for you to drink by the pool or to enjoy at sundown….and you are the only guests. Mai Tai anyone? Several of our villas are directly on the beachfront where you can just step out on to the sand. 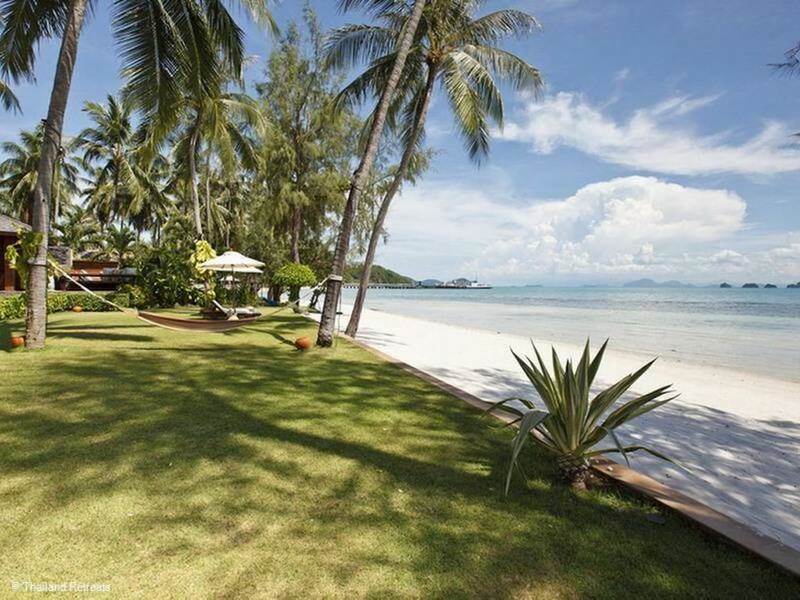 Baan Kilee is one such villa located directly on a quiet safe west facing beach. Many of our villas come with amenities that will let you enjoy activities as a family, from indoor cinemas to tennis courts, to fully equipped games rooms with pool tables, paddleboards, kayaks, basketball courts and even a Muay Thai boxing ring. If you are looking for a private boat charter for a spot of site seeing or snorkeling some of the villas can arrange a pick up right in front of the villa. So many of our villas come with the services of excellent staff that will make your holiday truly memorable. In many of our villas, you’ll experience a daily maid service, with regular bed linen changes. Some of our villas come with a pool towel service. Most of our villas come with a Villa Manager that can help ensure you have a good stay. You may also find that the Villa Manager or dedicated concierge can arrange activities and excursions for family days our, communication with the chef, or arrange for in-house massage or spa treatments and even a private yoga teacher. We’ve already mentioned the excellent chef services you will find at many of our villas too and some also offer a nanny, a housekeeper or a personal driver. The staff will want to ensure you can fully relax and unwind. Almost all of our villas have a private pool. So there is no need to worry about reserving a sun lounger or what the other guests will be like. It’s just for you and your guests. Infinity pool, children’s pool or jacuzzi hot tub? You’ll find a villa that has what you need. 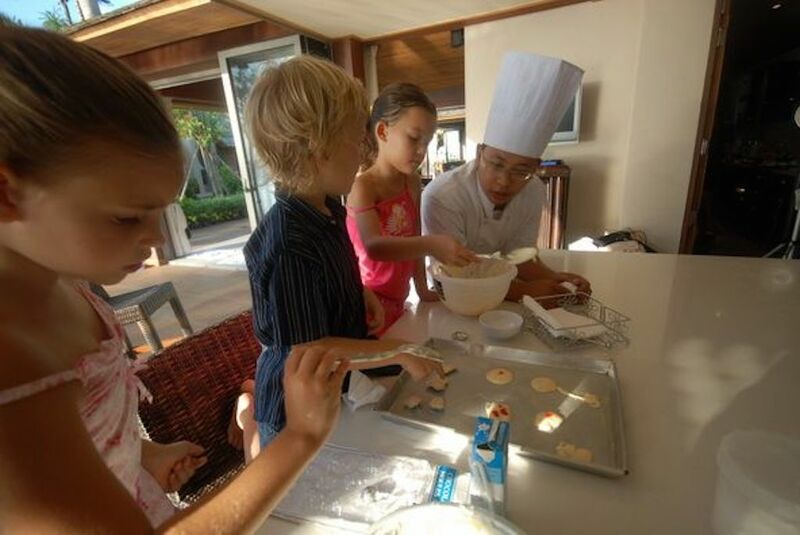 Our villas have so many options for you to spend lovely time together as a family making special memories. From al fresco dining in gorgeous surroundings, playing together using the in villa amenities like tennis courts, chilling together by the pool or beach volleyball. Thailand is known as the land of smiles for a reason.